What’s happening to sword fern at Seward? 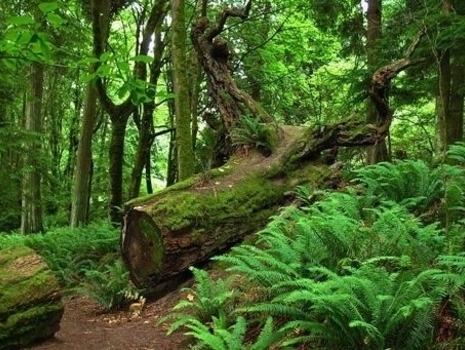 Seward Park is celebrated by Seattleites for its lush forest dominated by native plant species like sword fern. In autumn of 2013, park visitors noticed sword ferns dying on the south side of the Hatchery Trail. By July of 2014, the stand of dense sword ferns (about a 1/4 acre in size) was more than 90% dead, leaving bare ground. In subsequent years, the decline has spread substantially through the park. Sword ferns are now dead in a 15-acre area (about 10% of the old-growth forest in the park) and in isolated patches across Bailey Peninsula. Unfortunately, other sites with declining fern populations have been identified in Western Washington and British Columbia. Healthy sword ferns in Seward Park in 2014 (Shannon). The same site in 2017 (Shannon). Why are sword ferns important? Sword Fern, Polystichum munitum, is a dominant understory plant of Pacific Northwest forests. Sword ferns colonize recently disturbed forested sites (for example, after fire, floods, or logging). They are an important food source for a variety of animals, from ungulates to rodents and insects. Individual sword ferns can persist for centuries in forests where they are native. 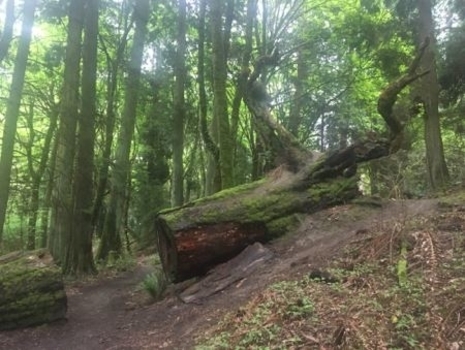 Concerned Forest Stewards, park users, academic partners, and Seattle Parks and Recreation staff, have come together to form the Sword Fern Decline Working Group. Although numerous possible causes of the decline have been suggested to date, none have been validated through extensive monitoring and research efforts. In 2018, the working group developed a research plan, helping to define a systematic strategy to understand the causes of the decline. View the full report here. 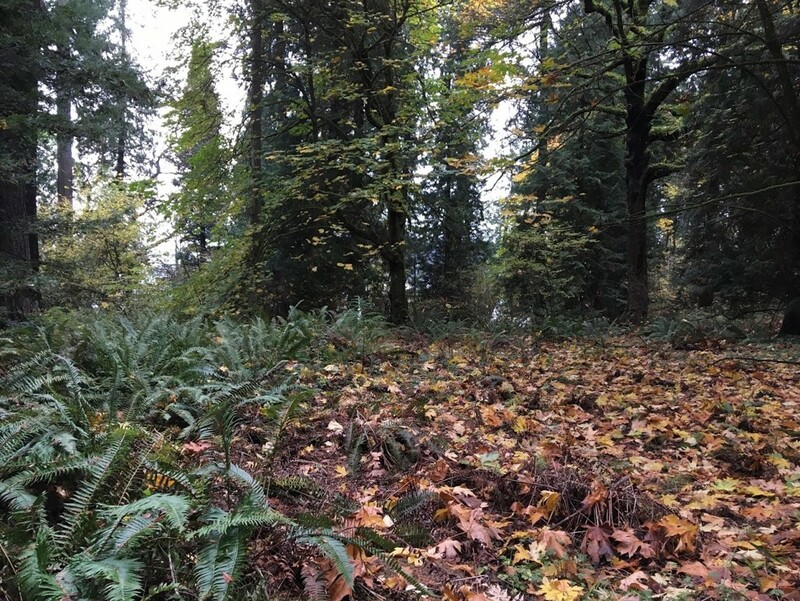 If you are interested in volunteering to help with field work efforts to monitor, map, and research sword fern decline at Seward Park, please email lisa.ciecko@seattle.gov. Join our email list to be kept up on the latest research results and opportunities for involvement. Email lisa.ciecko@seattle.gov to be added to the list. You can use i-Naturalist from your smart phone or computer to help map potential sword fern decline sites.